We are currently in the ministry of developing a support team who will partner with us in prayer and finances to undergird and sustain us in the mission God has called us to. Though we’re not sure what it will fully look like, we feel called to a lifetime of missions and outreach. To live this calling is no easy task and will require much out of us and others who believe in us and what we are doing. All this being said, we are looking for brothers and sisters who will partner with us in prayer, finances, or both on a monthly (or quarterly) basis. We understand that times are tough and the economy is not what it once was, but we also understand the law of “reaping and sowing.” A farmer who sows corn will not reap beans, but corn. 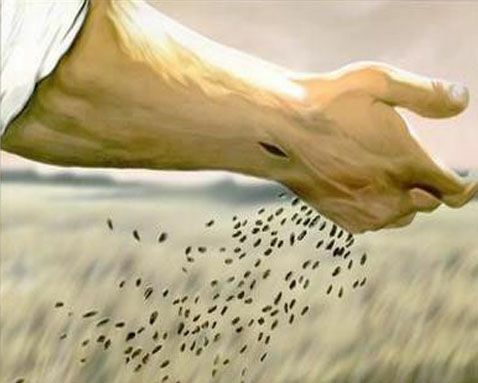 One who sows life, does not reap death, but life. Likewise, one who faithfully sows into another person will not reap curses but the abundant blessings of giving. More importantly, one who sows into Jesus’ Kingdom will reap not only souls saved but greater intimacy with the heart of the King of Kings. If you feel the Lord stirring your heart to partner in His Kingdom with our family in any way, please visit our donating page.